We are an approved Rhode Island Department of Business Regulation Insurance Division (Provider ID# 2813). 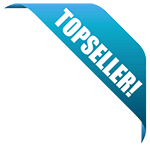 Get everything you need for one low price. Unlike other education companies, we cover your reporting fee so the price you see is exactly what you pay. Fulfill your continuing education requirements with an experienced and dedicated Online Insurance Continuing Education provider. Our courses can be completed at your own pace, and save your progress automatically. Our world class customer service team is ready to make sure you can get your education and get back to work. 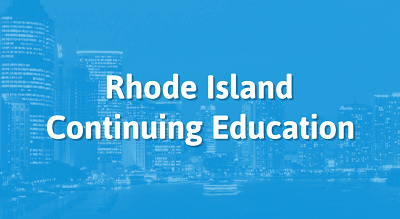 This all-in-one course will supply you with the entire 24 hours of continuing education you need to renew your Life and Health license for the State of Rhode Island. It includes portions on Ethics, Life Fundamentals, Health Fundamentals, and a section on the important topics of Federal Regulation and Long-Term Care. There will also be a final Examination and you will be provided with a Certificate of Completion. This complete course will provide you with the entire 24 hours of continuing education you need to renew your Property and Casualty license for the State of Rhode Island. It includes portions on Ethics, P&C Fundamentals, and Individual and Family P&C, as well as Commercial P&C. There will also be a final examination and you will be provided with a Certificate of Completion. This course will satisfy 8 hours of continuing education requirements for Property & Casualty insurance producers in Rhode Island. The focus of this course is on coverage for individuals and families: topics include dwelling and homeowner's insurance, renter's and condominium policies, and personal automobile insurance. We'll also review some fundamental principles of Property & Casualty insurance, and talk about the problem of money-laundering in the insurance industry. This course is designed to provide 8 hours of continuing education for Rhode Island insurance producers working in Life and Health lines. Topics we'll cover include disability income, medical plans, group health, dental insurance, Medicare, and the basics of long-term care. Last, we'll talk about federal taxes on health plans. This course will satisfy 8 hours of continuing education requirements for Rhode Island Property & Casualty insurance producers. The primary focus of this course is commercial policies, including topics in commercial auto insurance, commercial coverage policies, business owner's policies, and worker's compensation. This course will fulfill 8 hours of continuing education requirements for a Rhode Island Life & Health insurance producer. We'll review some general principles of Life & Health insurance, and then we'll cover life insurance policies in general. We'll take a look at the different types of life insurance types, and standard provisions you can expect to see. Then, we'll discuss health insurance policies and qualified plans, life insurance-linked securities, and annuities. We'll also cover some of the federal tax rules regarding life insurance. This course will satisfy 5 hours of continuing education for Property & Casualty producers in Rhode Island. It is designed to provide a refresher on the basics of Property and Casualty insurance, and to provide some education on toxic mold and flood insurance. This 5-hour course is designed to satisfy 5 hours of continuing education for Rhode Island insurance producers in the Life & Health lines. In this course, we'll talk about the federal tax regulations that apply to life and health insurance, and we'll take a look at the changing landscape of Long-Term Care insurance. This course contains the 3 hours of mandatory ethics instruction needed for continuing education to renew your Rhode Island Insurance Producer license. 1383 2nd Ave, Gold Hill, OR 97525.